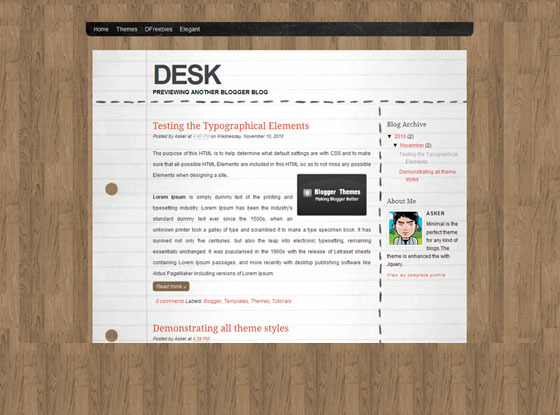 Desk is a 2 column Blogger Theme based on a desk with lined paper and a wooden background. can i get the code? ?because i can’t use this theme after download.. There is something wrong with the background. Kindly fix, please?